Welcome to Gemwow! On behalf of the team I’d like to let you know what to expect here. 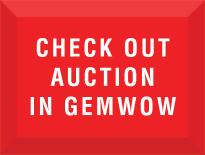 Firstly, Gemwow is a small operation consisting of young, dedicated persons who share a love for fine gems and minerals. 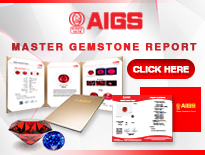 While we're not high-flying international gem-traders, we are in a unique position to scour the gem markets of Southeast Asia in our quest for the treasures of the earth that make you stop and say Wow! Of course, in this day and age, the best way of sharing these eye-opening finds with the world is through our website, Gemwow.com! So what does Gemwow stand for? Integrity: The word “integrity” is first and foremost on our minds with every action we take. Since our websitors are on the receiving end of the content we post, we want to ensure that the information and pictures all have integrity, i.e. they represent an accurate description and the information is reliable. The four letters “Q V S C” represent the next tenet that we uphold as the four “pillars” of our business. Value is the price that you pay for the goods. 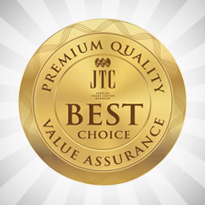 All Gemwow products are valued with your best interest at heart. That is because we want to “win” your heart. We know we have to “earn” your trust by “doing it right the first time.” We wil try our best to bring you the best value. Always open to feedback, if you ever feel that our value-calls are not right, just let us know, we’ll do what we can to accommodate you. Service plays an important role in our daily activity. We are striving each day to improve in order to provide the quickest, lowest cost, and reliable delivery every time. Since we intend to keep you visiting our site frequently, we will be in touch with you (with your permission) to inform you of the most recent arrivals and how and when to get the most “mileage” from your purchases using our loyalty points and rebates / rewards program. On-line purchase allows you the option and comfort of when and where you want to buy, or just make a casual visit for a chat with us. Weather you want to buy, to sell or to trade we will do our best to become convenient for your needs. We have organized ourselves into different work shifts to serve you better. Our day shift serves Asia and European countries, while the night shift serves the North American continent. We are improving our shipping methods, especially for high value items, to reach you faster and safer. 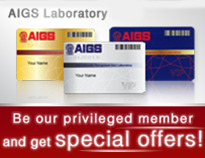 You have the benefit of a large range and choice of goods and we are constantly adding more product categories. 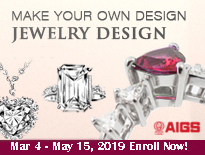 With our built-in Forum we have the beginnings of a web-community especially for people who have a passion for gems and crystals. Here everyone can share the benefit of their experience and knowledge with others, meet new friends and learn new things. Please let us know your ideas on how we may serve you better. In the coming weeks you will see more and more developments on Gemwow. 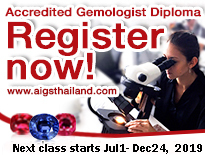 The "Thailand Gem Center" section has just begun and we envision it growing very rapidly. Gemwow is not one more gem shop, super store or mini store, but a convenient gem portal. 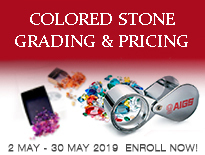 Our project is to help you to Buy, Sell and Trade gemstones. A Private Vault for buyers and sellers is in place for those who wish to deal in a private room. This feature ensures complete privacy. Business is between two or more willing persons according to mutually agreed pre-conditions and payment terms. Visit us often and sign up now! Keep abreast of the new and exciting developments in the coming days ahead. Cheers!